Bring bedding plants outdoors gradually in the Spring to harden them off and help acclimate them to the outdoors. They are hardy enough to start early in the season using the cold frame method. Plant in the ground after danger of frost and the soil can be worked. Cover at night with sheets or plastic when there’s a danger of frost. If planning to start them indoors by seed, shoot for a 10-week window before moving outdoors. They thrive in the sun so choose a location where they’ll get at least 6 hours of sun a day (optimal) but they’ll do fine with less too, avoid full shade for best results (they won’t bloom well and will get leggy and straggly in too much shade). 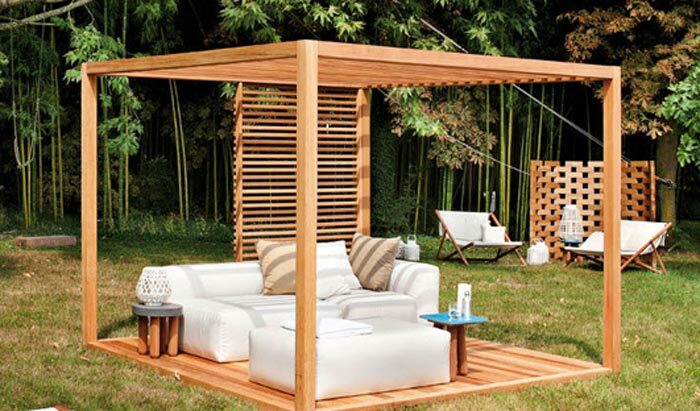 If you live in a hot climate, choose a spot that will give them some shade and shelter it from the hot afternoon sun. Dig soil well so it’s nice and loose, add a bit of compost then plant the flowers about 12″ apart (depending on variety). Pinch off any flowers and flower buds when first planted (this will help it get established and grow bushier–which will provide more blooms during the season). Water well at first planting and keep the soil moist during the first week. 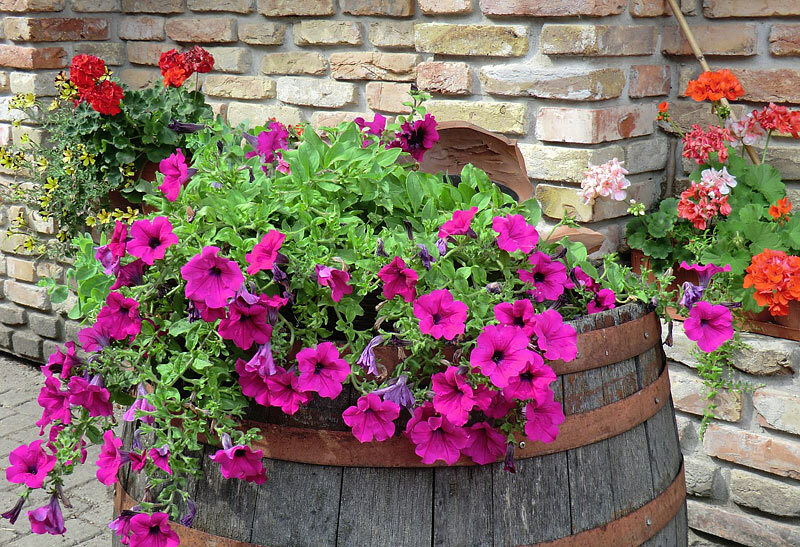 Deeply once a week (more when the weather is very hot), container plants in full sun will likely need an extra drink during the week. Make sure the soil has dried out at least an inch deep before watering since they don’t like soggy soil. When selecting bedding plants, look for those that are compact (not tall or leggy). Pinch off the new flower buds as they appear (for about two weeks until it gets well established). 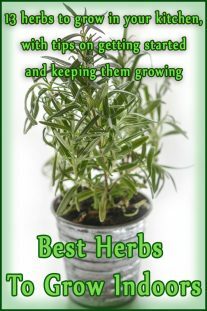 This will help it grow bushier rather than get too leggy (and it will provide more blooms). Some find giving newly established plants a 1″ trim gets good results over the season. 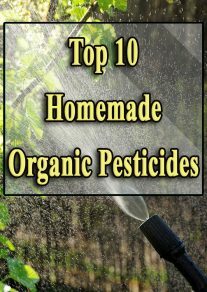 Feed every three weeks with an all-purpose fertilizer or treat them with compost tea. This will help it produce new blooms regularly. Petunias are a low-maintenance flowering plant, but if you like lots of blooms–deadhead fading blooms. This will encourage it to keep producing new blooms. If it becomes scraggly and leggy, try trimming back by about a third in late June/early July (especially if you notice a slow-down of bloom production), this will give it a new lease on life and lots of new bloom growth. Did You Know: Some varieties provide a cinnamon fragrance. They do well in cut flower arrangements, snip off at the stem when bud is beginning to open and strip off leaves before inserting in a vase. Troubleshooting Tip: If it is bushy and thriving, but produces only a few blooms, you are likely giving it too much fertilizer. If it is leggy and straggly and not producing many blooms, it’s likely not getting enough sun. 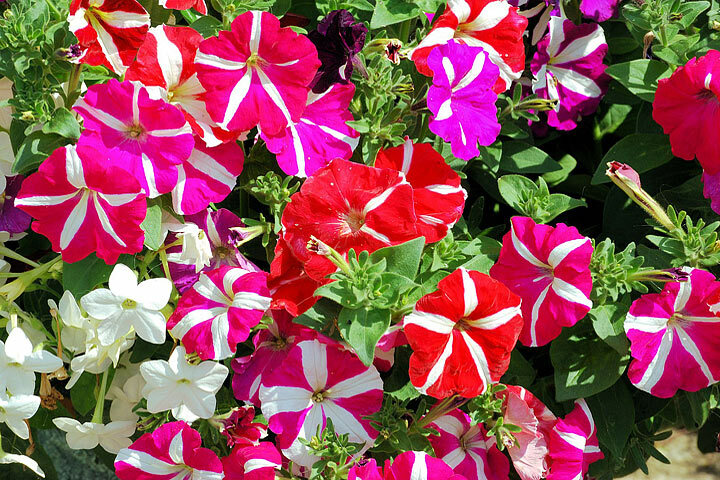 Did You Know: Petunias were first discovered in South America.